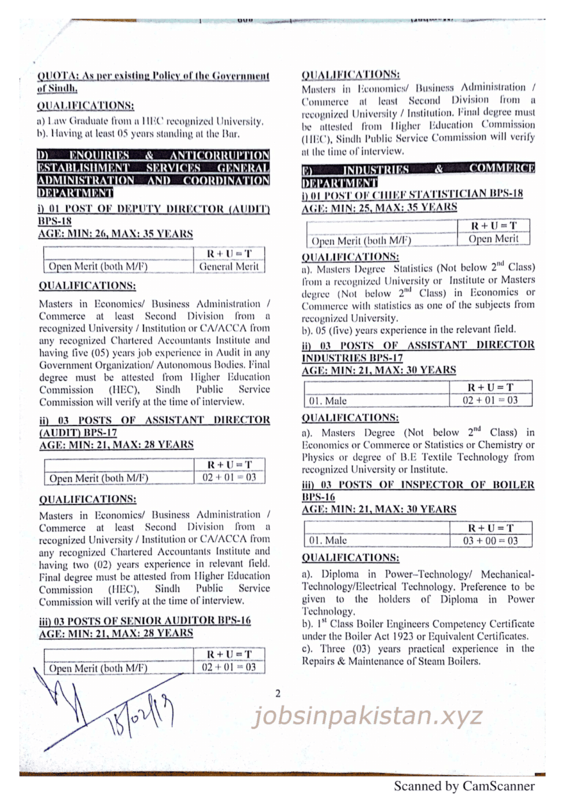 Jobs Description: SPSC Advertisement 03/2019 is given below on our site. Visit our site to view SPSC Advertisement 03/2019. 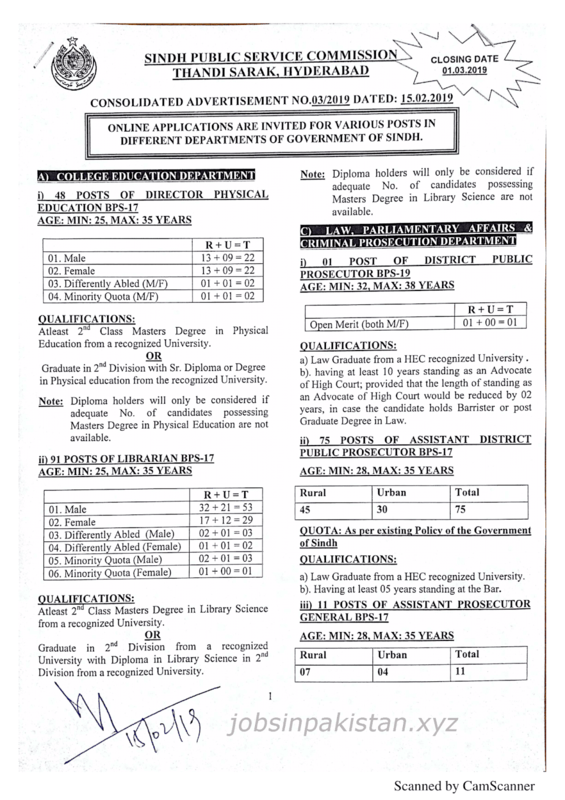 Sindh Public Service Commission of Pakistan recently announced an advertisement for Jobs in College Education Department, Law, Parliamentary Affairs & Criminal Prosecution Department, Enquiries & Anticorruption Establishment Services General Administration and Coordination Department, Industries and Commerce Department, and In the Sindh Textbook Book Jamshoro. 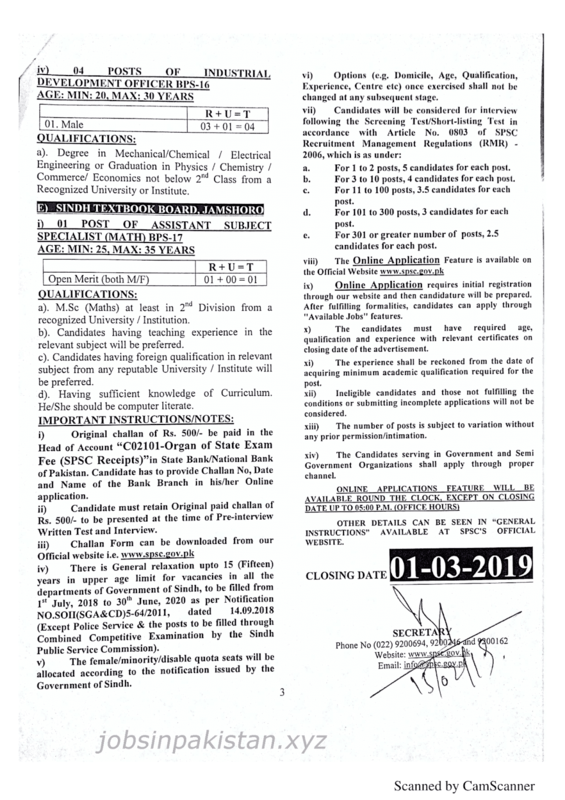 SPSC Jobs February 2019 are listed below as per department name. Sindh Public Service Commission (SPSC) has required the application for the following jobs. How To Apply: The interested candidates may apply online through SPSC (Sindh Public Service Commission) official website.